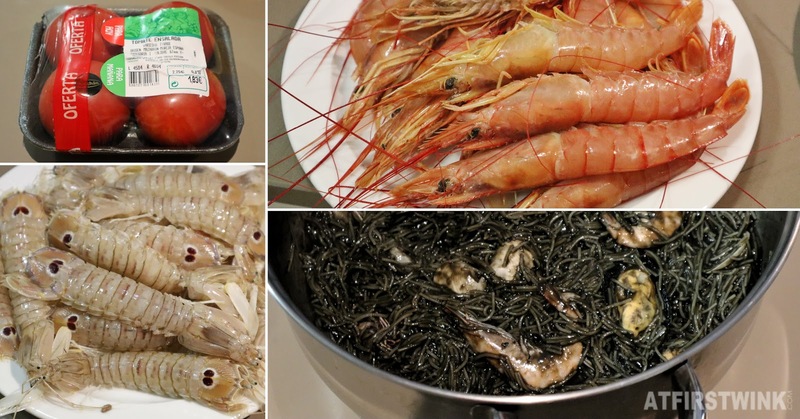 The main reason why I like to stay in an apartment when I travel, is that I love to cook meals with local ingredients. It is a real moneysaver and I get to eat fresh meats, vegetables, and fruit that I couldn't have tasted otherwise back at home. I am also a person that rather wants to stay in than to go outside, so it even saves me the trouble of getting changed and ready to go outside again. But I do make sure that I explore the city after breakfast every day and I usually don't go back until dinner time. It is vacation time after all, so don't be afraid of the awkwardness when you cannot understand and speak the local language or let the fear of the unknown stop you from experiencing new and exciting things. I haven't made pictures of every homemade meal we had for dinner in Barcelona, as I often got so hungry after a long hike that I just dug in as soon as dinner was prepared. 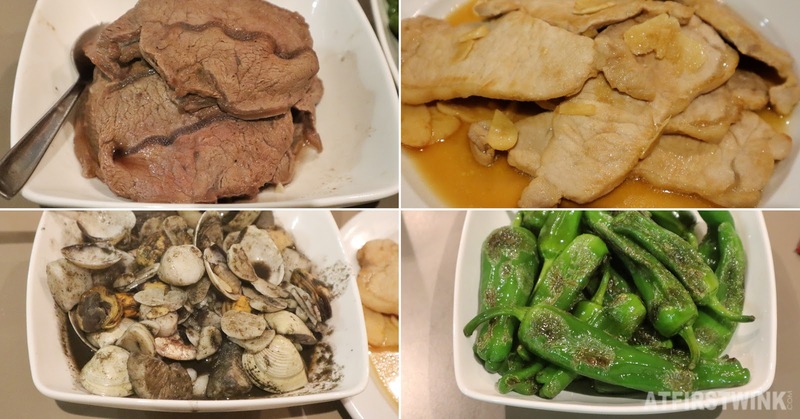 But underneath, you can find some simple dinner ideas that can be useful if you decide to cook for yourself in Barcelona. It said it is the world's no. 1 Sangria, so I had to try it. Although I also added some fresh apple pieces myself, it tasted good without them too. At the Mercadona supermarket inside the Arenas de Barcelona shopping mall, I bought Fricando beef, Filetes de lomo pork slices, a bag of frozen seafood mix, squid ink sauce, and a bag of fresh padron peppers. Basically, I choose a bit of everything to try out. The beef was amazingly tender and full of beef flavor. The pork slices were slightly overcooked by us, but it tasted nice. The seafood mix cooked in squid ink sauce was ok, only the scallops tasted a bit unusual. The padron peppers became my favorite vegetable in Spain, after trying it in a restaurant during lunch. We only stir-fried it with a bit of oil and it turned out great. 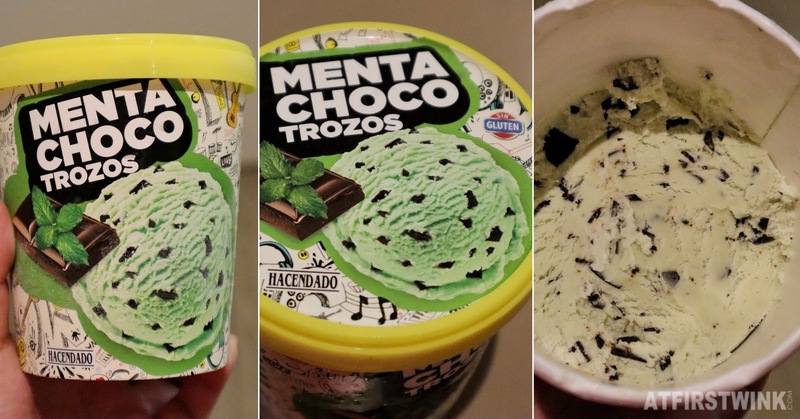 As dessert, we got this pint of mint chocolate ice cream at the same Mercadona supermarket. The dark chocolate bits were chunky and crunchy and they had a rich dark chocolate flavor. The mint ice cream was not too sharp, too sweet, or too bland. It is perfect! After the Spanish sangria, we tried the semi sec cava carta nevada from Freixenet. It had very fine bubbles with a simple, one toned, and refreshing grape flavor. It is a bit like champagne, not too sweet or too bitter, but a bit dry. We also tried a different kind of beef (forgot the name?) from the Mercadona supermarket. I also got 500 gram of frozen red shrimps from the seafood section. I simply boiled them in a pot of water with some salt and they were really tasty. 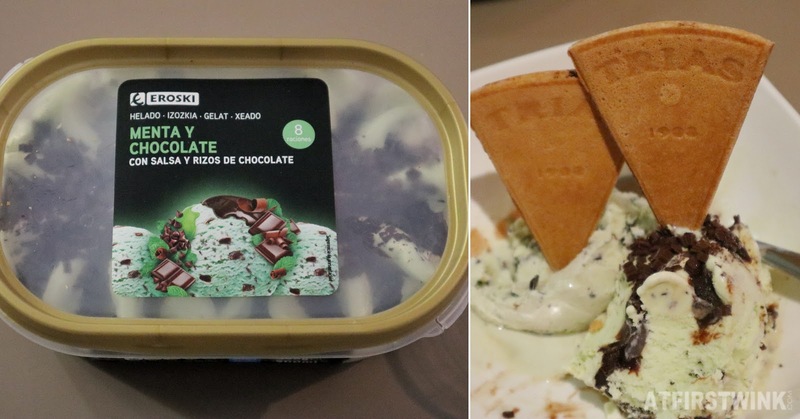 On a Sunday, when almost everything was closed and we ran out of the previously bought mint chocolate ice cream, we had to get this box of Eroski mint chocolate ice cream at the tiny Aliprox Supermercats, just behind our apartment. The mint icecream was a tad too sweet for my taste and the chocolate bits weren't as crunchy and in every bite. 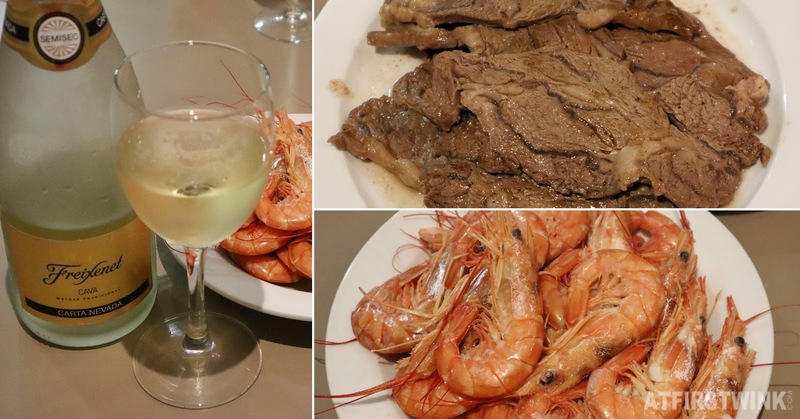 The beef and shrimp were so good that we got those for dinner a second (and third, and fourth time). To accompany that much meat, I quickly tossed a salad together with some grated cheese. 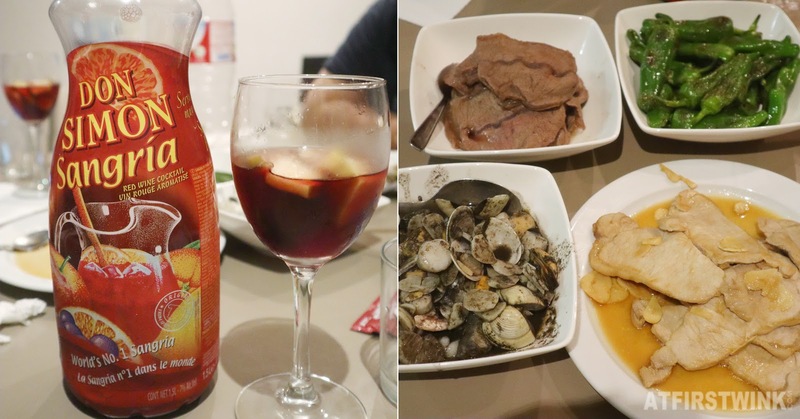 This meal was a bit higher in difficulty level, as we tried to recreate the seafood and squid ink fideua that we had at La Fonda ourselves without a recipe. The noodles were way too soft, but the flavors were good. We also bought some expensive tomatoes in the basement of El Corte Inglés department store to eat as a tomato salad. From the seafood section at Mercadona supermarket, we bought the red shrimp again and some mantis shrimp too. 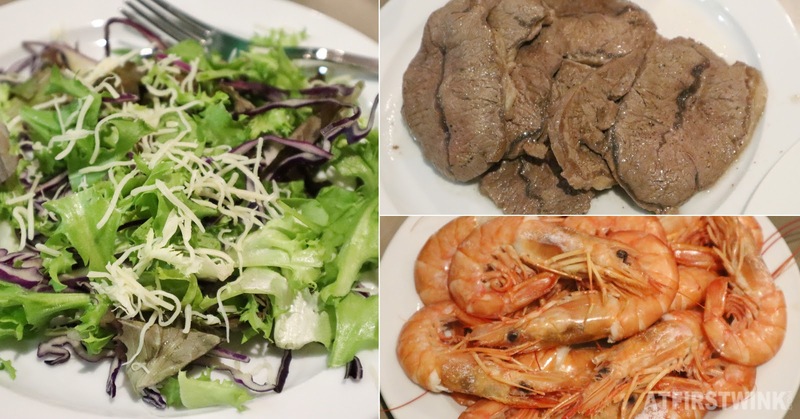 The mantis shrimp had a fragrant shell, but the meat was a bit too mushy and soft for me. We also cooked a whole chicken and spareribs, bought from the Mercadona supermarket. No pictures, but very tasty too.